Middleton Inn is a wonderful getaway in Washington, Virginia. I found the inn to be even more special because of the level of gluten-free accommodations made. 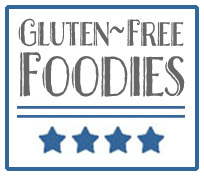 Typically a B&B or Inn, with breakfast highlighted as part of the experience, is not the best option for gluten-free travelers. I find I am often accosted in the morning with trays of scones and quick breads, typically leaving with a belly full of fruit and coffee. My expectations for Middleton Inn were raised when, upon receiving our reservation, the proprietor emailed to ask if there were any dietary restrictions or special accommodations needed. This was a good start to a weekend away, that just continued to improve during our visit. Our room was a cozy, well adorned with antiques, and a working fireplace (logs and matches set up for our use). The parlor was a place to unwind after spending the afternoon exploring the town. We were greeted by other guests at the inn, quality wines and a cheese plate. There were no gluten-free crackers out, but with a big dinner planned that evening, I was happy to nibble on grapes and enjoy a glass of wine before getting ready. The next morning I experienced the best gluten-free breakfast I have had to date at an Inn. Immediately upon seating, we informed the server I was gluten-free. “Yes, I know,” she stated with a smile, which was immediately followed with coffee being poured and gluten-free lemon poppyseed quick bread being placed on the table. The cake was moist, flavorful, and light. 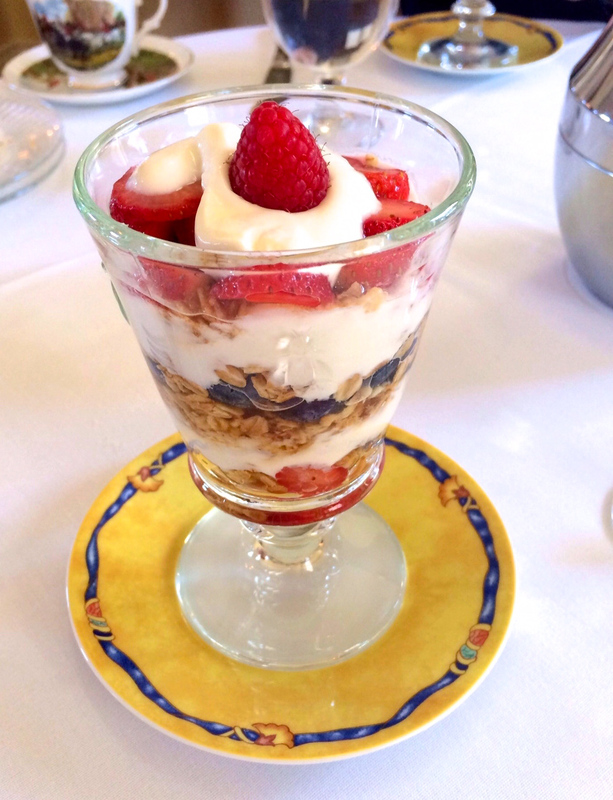 Our next course was a yogurt parfait with alternating layers of fruit, honey, yogurt, and gluten-free granola. For February, the quality of the berries was impressive. We finished breakfast with custom-made omelets, roasted tomatoes, and applewood smoked bacon. To my surprise, the proprietor stopped by our table during breakfast to ask how we were enjoying the food and our stay, and to also apologize for wine and cheese hour the night before not having gluten-free crackers. She had them in the kitchen, but had failed to remind the staff and felt terrible. After assuring her I did not want to eat a lot before going to dinner and that I typically pack my own crackers, she then presented me with a mini loaf of gluten-free pumpkin pecan bread to take home with me. It was not a surprise to learn of the accolades of Middleton Inn as we were leaving. 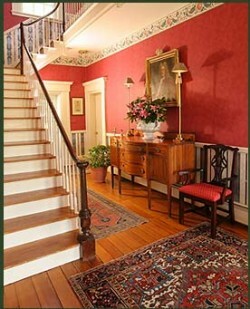 The inn was awarded the prestigious Four Diamond Bed & Breakfast award. Washington, Virginia is a small town (fewer than 150 residents) rich in history. It was the first town named Washington in America after surveyor George Washington laid out the town (the same town grid in existence today) in 1749. There is much setting this small town in the foothills of the Blue Ridge Mountains apart. It was voted by Southern Living Magazine as having one of the 50 best shops in the South, chosen as the number one bicycle tour for foodies by National Geographic, wonderful hiking, and an eclectic mix of shops. While all of these accolades help to put the tiny town in the spotlight, it is best known as home to the Inn at Little Washington, considered the world’s best hotel restaurant.